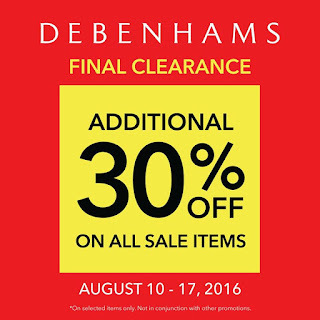 Don’t miss out on Debenhams Final Clearance Sale! 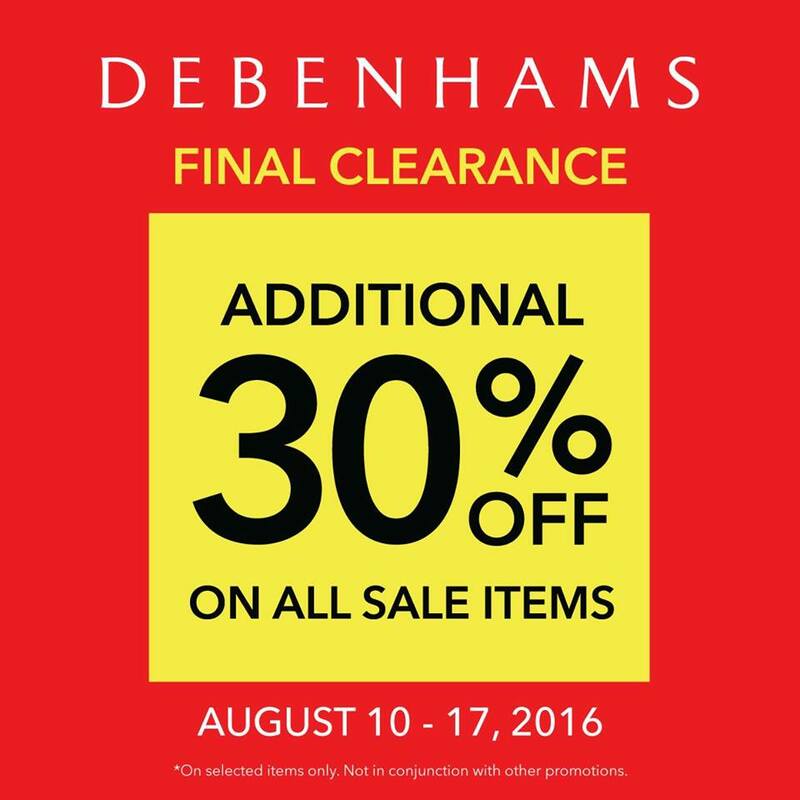 Enjoy 30% off on all sale prices from August 10-17, 2016 in all Debenhams stores nationwide! Visit Debenhams at Shangri-La Plaza Mall, Rustan’s Makati, TriNoma, Estancia Capitol Commons, and Abreeza Mall Davao.